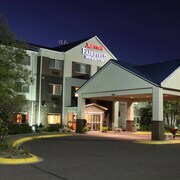 Situated in Roseville, this hotel is 2.6 mi (4.2 km) from Minnesota State Fairgrounds and 2.6 mi (4.2 km) from University of Minnesota-St. Paul. Como Park Zoo and Conservatory and Hamline University are also within 6 mi (10 km). Situated in Roseville, this motel is 2.6 mi (4.1 km) from Minnesota State Fairgrounds and 2.6 mi (4.2 km) from University of Minnesota-St. Paul. Como Park Zoo and Conservatory and TCF Bank Stadium are also within 6 mi (10 km). 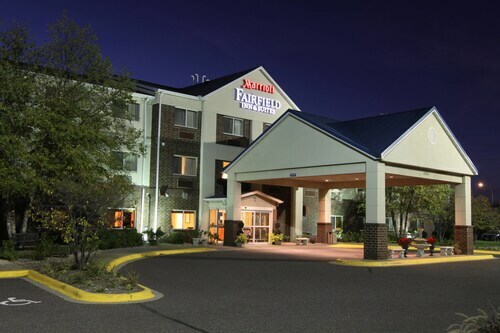 Situated in Roseville, this hotel is 3.1 mi (4.9 km) from Minnesota State Fairgrounds and within 6 mi (10 km) of University of Minnesota-St. Paul and Como Park Zoo and Conservatory. Hamline University and Macalester College are also within 6 mi (10 km). Situated in Roseville, this hotel is 3 mi (4.9 km) from Minnesota State Fairgrounds and 3.1 mi (5 km) from University of Minnesota-St. Paul. Como Park Zoo and Conservatory and Hamline University are also within 6 mi (10 km). 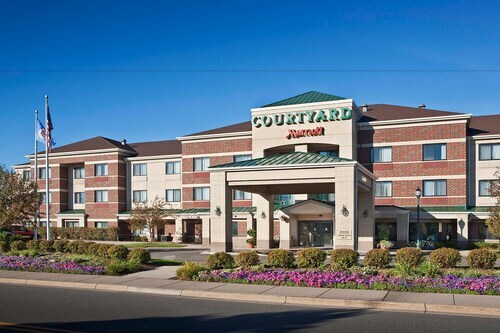 Situated in Roseville, this hotel is 3.1 mi (5 km) from Minnesota State Fairgrounds and within 6 mi (10 km) of University of Minnesota-St. Paul and Como Park Zoo and Conservatory. Hamline University and Ard Godfrey House are also within 6 mi (10 km). Situated in the suburbs, this hotel is within 6 mi (10 km) of University of Minnesota-St. Paul, Minnesota State Fairgrounds, and Hamline University. University of Minnesota-Minneapolis and U.S. Bank Stadium are also within 9 mi (15 km). How Much is a Hotel Room in Roseville? 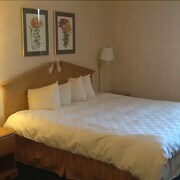 Hotels in Roseville start at $55 per night. Prices and availability subject to change. Additional terms may apply. When it comes to choosing where your home away from home will be during your time in Roseville, you'll have a broad range of alternatives. Our comprehensive travel guide is where you will find 30 hotel establishments within a 6-mile (10-kilometer) distance of Roseville's urban core. 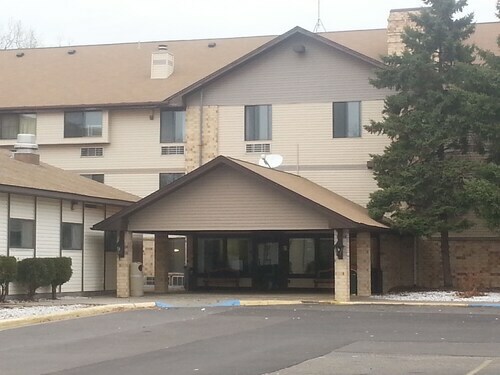 One of just a small number of Travelocity-listed rooms in the vicinity of the centrally located attractions of Roseville, is the Country Inn & Suites By Carlson, Roseville, MN. 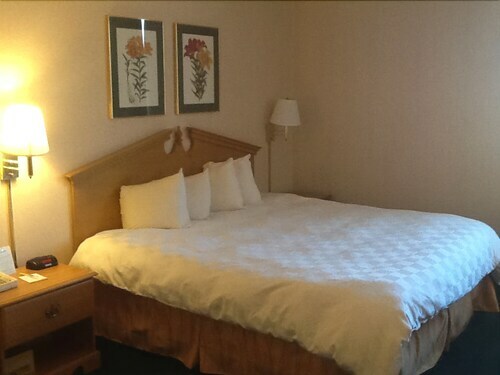 2 miles (3 kilometers) from the heart of Roseville is the Key Inn. This is a an excellent option for visitors on a budget. 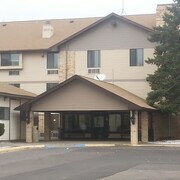 The Red Roof Inn Minneapolis - Roseville is a second affordable option in Roseville. 7 miles (10 kilometers) from the middle of Roseville, you can find the Hotel Ivy, a Luxury Collection Hotel, Minneapolis. Alternatively, the Residence Inn By Marriott Minneapolis Downtown is about 6 miles (10 kilometers) away. The The Saint Paul Hotel along with the Loews Minneapolis Hotel are two more Travelocity-listed options around Roseville. 5 miles (8 kilometers) away from Roseville, you'll find St. Paul, home to University of St. Thomas and Hamline University. Next time you visit St. Paul, check out the rooms at the Holiday Inn St. Paul Downtown and Embassy Suites - St. Paul. 25 miles (41 kilometers) southeast of Roseville, you'll find Hastings, which boasts the Nichols Inn of Hastings and Val U Stay Inn and Suites. While in Hastings, set aside a little time to visit the Alexis Bailly Vineyard and Carpenter St. Croix Valley Nature Center. Before saying your farewells to Minneapolis - St. Paul, be sure you enjoy enthusiastic locals watching some sport. Visit Xcel Energy Center, found southeast of Roseville. Find a Travelocity-listed room nearby to the sporting action at the InterContinental Saint Paul Riverfront or the DoubleTree by Hilton Hotel St. Paul Downtown. Minneapolis - St. Paul International Airport is a practical airport for those flying to Roseville. It can be found 10 miles (15 kilometers) from the heart of the city. For modern travelers who have plans to find Travelocity-listed accommodation nearby, read about Radisson Blu Mall of America or Embassy Suites by Hilton Minneapolis Airport.